First the threat against our food is two-fold. 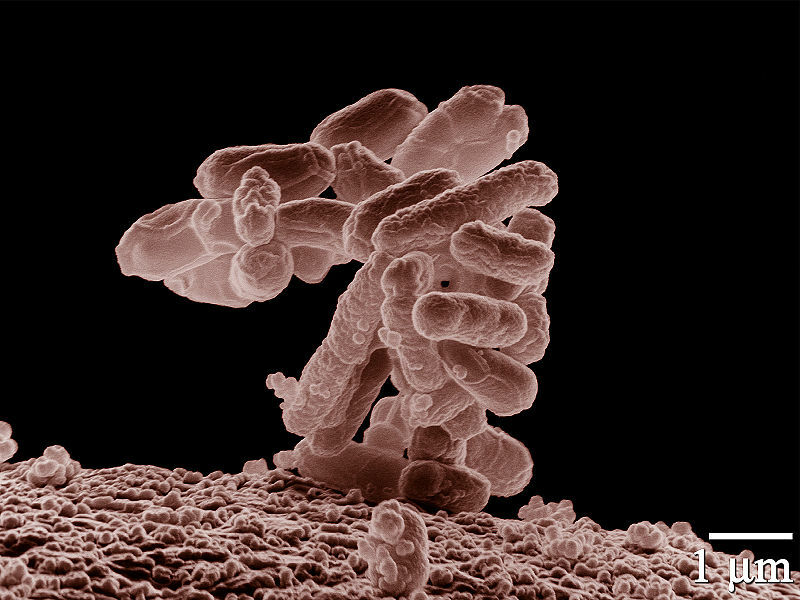 On one front we have the “Food Safety Modernization Act” which gives the FDA more power ostensibly to crack down on large scale food growers in order to protect the American people from the various outbreaks of e. coli and other tainted scenarios. (Don’t you just love it how they keep naming an act exactly the opposite of what it actually is i.e. “Food Safety” “Stimulus” “Health Care” Volunteer Act, etc.?) However, if one actually reads the bill, there are definitely some vulnerabilities that even the private family garden may be subjected to. On the other front we have the Monsanto Corporation which is one of the most powerful and frankly the most aggressive corporations in the world. They are supposed to be an agriculture biotech company, however they see fit to be one of the largest customers of the Blackwater Company—the largest mercenary company in the world. (Their new name is now Xe Services). Blackwater is also wooing Monsanto to become their “intel arm”. (Contrary to internet gossip, Blackwater has NOT been purchased by Monsanto.) Regardless, does anyone else wonder what an agriculture company needs with a mercenary army or in gathering “intel”? Taking all of this into consideration, I feel it’s time for massive, deliberate action in ensuring that I have a sufficient supply of quality seeds, natural fertilizers, skill, and tools in order to make sure that I don’t have to rely on Franken-foods. Next, on February 1, 2011, California will have a law go into effect that basically makes requires every California citizen to reveal themselves when they purchase ammunition; and it makes it illegal to purchase any ammunition that is produced outside of the state. (And we all know that California is one of the most committed states in the U.S. towards creating high-quality ammunition and plenty of it too, right? –Yes, sarcasm is intended there folks.) If you don’t get a thumbprint and thorough background check when selling ammunition to another person in California, you’ve committed an illegal act. Additionally, a face-to-face requirement is imposed for any transfer of ammunition as well as a few other dandy little requirements. 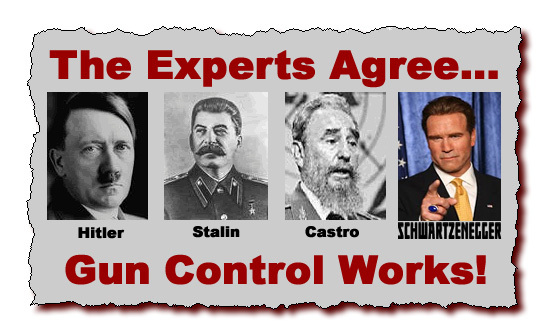 You see, since the Supreme Court has shown their hand in how they would rule on any imposition of the right to bear arms, the powers that be in California have elected to target the supply of ammunition, thus making the ownership of firearms a moot point—unless one is a criminal, in which case any laws regarding the ownership of firearms or ammo or drugs, or whatever the heck they want is also a moot point. If you haven’t picked up on it quite yet, California has been the testing ground for a great number of issues that ultimately end up infiltrating the other states in the U.S.A. So when I see something like this taking place, I view it as a foreshadowing of what’s to come elsewhere in the U.S. and try to take action to counter the impact of it. Thus I’ll be keeping my eye open for good deals on ammunition so that if such a regulation was inflicted upon my area of residence I’ll be grandfathered in on what I may already own. I predict that there will be a great deal of foreshadowing this year folks, as well as beyond the next 361 days. So let’s keep our eyes open and prepare accordingly. Vineyard Garden Center will be selling heirloom seeds again this year as well as canned heirloom seeds for longterm storage. This may help the locals in the area of Kellene. They are in Orem, UT. Well, good thing not every state is as "liberal" as California. In Texas entering the Capital Building is easy if you have a CHL (concealed handgun license) you show your card and are sent to the express line where you are wand-ed and waved in. 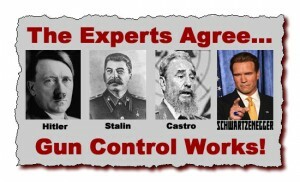 The Governor of Texas packs heat everywhere and most representatives have CHL's. Although this doesn't do anything for the food problems, it does make me feel better about not losing my right to own firearms any time soon. Would that we were all as generous in our rights as the most generous of areas... Oh well, that's what happens when folks fall asleep on the job--the job of preserving our freedoms for ourselves and our children's children. Yesterday I sent a comment to you regarding facebook and inadvertently added my last name and state where I live. Immediately another poster admonished me for giving out this information and suggested I delete it. Of course I regret the careless mistake. So my question to you is there a way to delete the comment I made yesterday regarding the Super-Pro give-away, facebook, etc.? Please email me your reply. I am used to using my complete name emailing and did not stop to realize I was not emailing to a friend. So now I AM concerned. Charo, if "they" want your information, they have obtained it a heck of a lot sooner than by you recently putting your name and state on this site. Frankly, some folks drive me batty with that kind of talk and the reason is because they actually are "letting it all hang out there" in so many other, more critical ways. Hopefully they will learn about those things better in the future as I try to educate, but if it were me, I wouldn't sweat it. However, I will go back on your post and edit it for your peace of mind. I'm surprised there hasn't been more of an exodus from California. That state epitomizes the advice I've heard over and over again: Don't live in stupid places. I love my life too much to ever consider moving to California. KELLENE WHAT TYPE OF AMMO WOULD BE GOOD FOR AN AR-15, I BOUGHT WOLFMANN BULLETS, BUT HAVE BEEN TOLD ON BOTH SIDES THAT THEY WOULD EITHER GUM UP MY GONE, OR OTHER PEOPLE I KNOW HAVE STATED THEY AREN'T BAD, I ALREADY BOUGHT THEM AND GOT 1000 ROUNDS FOR $250.00 SO I DON'T KNOW IF IT WAS A GOOD PURCHASE, PLEASE LET ME KNOW WHAT YOU THINK, THANKS AGAIN! We definitely don't buy Wolfmann in this household. That's the cream of the crap right there. You'd be better off getting ANY other brand than that. Todays world is full of worrisome issues. That is why my shopping list is never ending. The best to all of you. 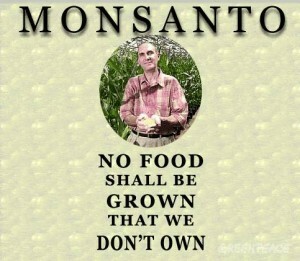 Monsanto is the devil! I can't believe they continue to "get away" with everything they are doing to the little farmers. WHAT AMMUNITION WOULD YOU ADVISE TO BUY, AND WHERE IS THE BEST PRICE TO PURCHASE IT AT? I purchase mine primarily from a local pawn shop and it all depends on what they have in stock. 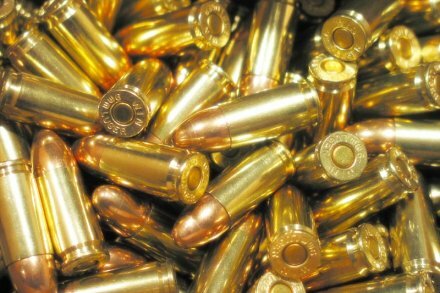 You'll find that several folks believe that there's been a problem in finding enough ammo. I also did a review on an ammo source as noted in the article. Cheaper than dirt has some as well. Again, I believe that any ammo is better than the Wolf___ ammo. (Not even allowed to mention that name in this house..hee hee) It also depends on what you're using it for. That's almost like asking me what kind of gun to buy. is it for target practice, is if for self-defense, close range, maximum firepower, etc. Your safe as long as you stay away from most of the reloaded stuff. I find the best deal on ammo is at my local Walmart and they carry alot of Winchester Ammo, however in our state you must have a pistol permit to buy pistol ammo. Other than that Walmart does have the best prices I have found. Though doing business with them is now suspect do to Homeland Security asking them to report suspicious activity. Is buying ammo suspicious? Maybe not to you and I but who knows. I do pay cash and buy from alot of different Walmarts. This store is in Mo. but they have one in Ca. and Ct. Correct me if I am wrong, but isn't Monsanto former VP the current Food Safety Czar, appointed by Obama? I cannot confirm that info at this moment, but I can tell you that there are a whole lot of connections going on that wouldn't surprise any one who's informed. I have been keeping my eyes open for the last four or five years and buying whatever is on sale. Some purchases I made did I could not use in the state I lived in because of the weather but now we have moved to a cooler climate, we will now have enough staples and luxuries to keep us going no matter what happens. Every year after Christmas, I would buy really nice quilts for half price from Gooseberry Patch (they no longer sell the quilts). Before I knew it, I had a closet of quilts, not very useful in the desert but up in the mountains they are a welcomed gift. People in my area did not buy the canning jars that Costco had introduced, so I picked up as many as I could. Now I have enough jars to keep us in food for a year. I picked up enough lids and rings from Target to reuse the jars and reseal them for at least a year or two, which I bought before I had the jars. The last thing I bought was the pressure canner which was the most expensive purchase but I am ready to go. Who knows what is ahead in the next few years but by keeping a sharp eye for deals, you can start to prepare for the worse and hope for the best. I am glad you talk about Monsanto and the war for our food supply. This issue is extremely important, because most people do not know the poison they are eating. 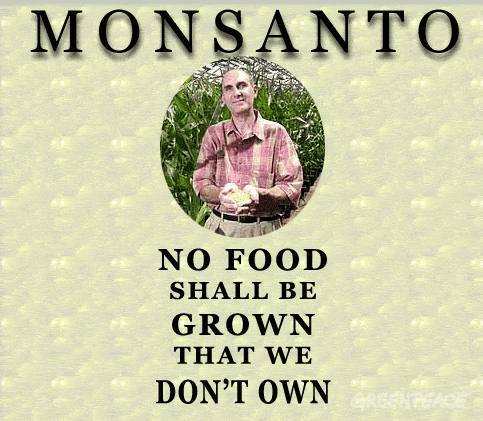 We must reach a tipping point in American that will force Monsanto to close their doors, as they have done in Europe. The only way to do this is to spread the word. I am glad you are a truth seeker, as am I. Bringing light to this issue and others that affect our civil liberties is appreciated. I read a great quote today, "In a time of universal deceit - telling the truth is a revolutionary act"(George Orwell). Thank you for your insight! All too frequently the rest of the U.S. has followed California's lead. I hope we will see this trend slow, or preferably stop. But I appreciate the head's up. I shoot rifle, pistol and shotgun...and I reload. Ammo is much like money...you can never have too much...and if you Really need...you probably don't have enough. Reloading components are more readily available this past year than in '09, but more expensive. But we still try to budget to allow a continual accumulation of ammo. It's as much a part of our preps as our dehydrating and canning foods and trips to our local LDS Warehouse. But thanks to your head's up, I think I'll put a bit more effort into the ammo stores. These are in fact "Interesting Times". My family left CA years ago, very much on purpose. Yet another reason not to live there. Kellene do you think it maybe it's possible to make communities, counties then states more self-reliant? I'd really like to see my state not be so beholden to feds. Sorry to say or govenor is happy to roll over on his back and get a tummy scratch from the feds. I think I'm fairly intelligent, a student of history and on a crash course in economics. Not theory but what works. We voted for bigtime change in Nov. and now that they are in office it's same old schtick. I don't think we can save a country (this kills me to say) but we could save some states. I'm not ready to give up yet. But I'm frightened for the USA. You need to read the GREAT book, Molon Labe'. Get it on Amazon for the best price, Jamie. I doubt they'd have it in the library. Anyway, to answer your question, I think it's certainly possible. But I think that it takes a whole lot of courage for leaders to put such a thing into motion, and unfortunately, I think we're lacking in courage in our land about as much as we are common courtesy. Possible? yes. Likely, sadly, no. Well courage and politicians seems to be contra-indicated. Muffins. I'd run myself locally but I'd never win and if I did I'd make a lousy politician. Back to the grass roots. Change myself, and go from there. I really wanted a different answer Kellene but what is, is. So I'll go back to work and catch a few that want to learn. Cause I can't save the world, just those few that saving. So question for anyone who might know: How can you guarantee that you aren't buying GMO seeds? Is there anything particular that I should look for when buying seeds? Is there a particular brand anyone suggestions? I appreciate any feedback! Thank you! Hey Alicia, I'm no expert, but I'm guessing anything you find in local stores (unless otherwise noted) are modified/hybrid seeds. You can probably only find heirloom/non-hybrid seeds online or in specialty stores these days. I bought some recently, but don't want to promote any one company over another. Just do a search for heirloom seeds and see what kind of deals you can find. The ones I got are sealed in a #10 can so I can store them for a future need. Good luck! What are GMO seeds? What are some good website or local Orem stores to buy seeds? Thanks for the catch up on the news. I wasn't aware of California's new law! I grew up in CA and still have family there. My dad is even in local politics there (trying to save one city at a time), but I worry for them and keep trying to get them to move to the promised land (TEXAS!!). :) I also wasn't even aware of who Monsanto was. So I'm glad I'm more aware of that now. We purchased some non-hybrid seeds just before Christmas, but I think I'll end up getting more as finances permit. We're on a pretty tight budget but still trying to do all the preparedness we can. I guess I better tell Hubby he can go get some more ammo for his gun collection. He'll be so thrilled!! :) Thanks for all your insights. I enjoy reading your blog. The difference between hybrid seed and non-hybrid seed: Non-hybrid seed is "open pollinated". That means if you grow lettuce from open pollinated seed, it bolts and sets seed, you can save that seed, plant it next year and get the exact same lettuce. With hybrid seeds, two (or more) plants are crossed (pollen from one plants is used on a different plant.) The resulting seed is a hybrid - seed created from two different plants. Sometimes you can save seed from a hybrid and plant it the next year - BUT it will eventually revert to one of the parent plants (and many times it has been crossbred many times, so who knows what you will get). You may get decent plants for a year, maybe two, but it will eventually revert to a parent or grandparent plant. This was how it was explained simply to me. If any of the above is wrong, please correct me!! GMO seed is patented. There was the case of an organic farmer growing open pollinated plants for seed. Fields near him were used by Monsanto to grow GMO (genetically modified organism) seed to sell. Because the wind direction occasionally blew from Monsanto fields towards the organic farmer's fields, Monsanto sued (and won)the farmer to forbid him from selling his seed because there just might have been some GMO pollen that got mixed in with the farmer's crop. Drove the farmer out of business. It makes me sick. The new FDA legislation that just passed is so dangerous! Yes, there is an exception if you make less than $500,000 (I think that was the amount) to be excluded from the inspections, plus you sold locally, etc. BUT the paperwork to fill out to be excluded is horrendous - reams of forms to fill out.What farmer that you know would have time to do all that? Or hire a lawyer to do it? We have "truck farmers" who grow seedlings to sell and produce to sell at stands all around us. We depend on them so we can buy food we can't grow ourselves. These are small family farms which will be adversely affected by this legislation.